Time of use optimisation - buy cheap, use peak! Save up to 60% on your electricity bill - buy cheap, use peak! And, if you have solar PV... Generate over 70% of your electricity on site using residential solar storage. Time of use optimisation – buy cheap, use peak! With the advent of smart metering, “Time of Use tariffs” are coming into their own. The traditional Economy 7 tariff has now been extended to full “Time of Day” tariff differentiation. As batteries start to become more commonplace, it is anticipated that not only will there be “Time of Day” import tariffs, but there will also be “Time of Day” export tariffs, with those in a position to export during the winter peak times (4-7pm) having the potential to earn comparatively high tariffs from export..
For a consumer on a flat 15p per kWh tariff, there is an opportunity to save around 10p per kWh (compared to their current tariff) by ‘buying cheap’ at night and ‘using peak’ in the day. If the system is used with a solar system as well, then further savings are available from on-site usage of the solar electricity. If these savings are conservatively valued at 5p per kWh, then with a 2400kWh on site usage benefit, the total battery savings will be around £450 – £500 per annum. And that’s before the anticipated rise in electricity prices is factored in as we all start to drive electric cars…. 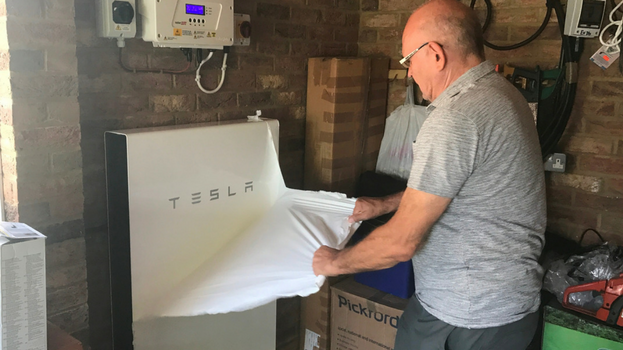 A well designed residential solar storage system should provide >70% of annual electricity requirement, with grid top up required online in November to March – See Case Study. The less you rely on the National Grid for your electricity, the more you protect yourself from rising prices. Use your spare solar electricity – it’s FREE! In the UK, hundreds of thousands of domestic and small commercial solar systems have been installed under the Feed-in Tariff scheme. Having paid to install the system, it makes sense to use as much of the electricity generated by the system on site, rather than export it to the grid for a relatively low Export Tariff. For any system under 30kWp, the Feed-in Tariff scheme assumes that 50% of the electricity generated by the system will be used on site, with 50% exported to the grid. The owner of the installation automatically receives an Export Tariff in respect of this 50% deemed export, regardless of the actual level of electricity exported. It makes sense to use as much electricity on site as possible. For larger systems, the Export Tariff is paid at a rate of ~5p per kWh on the basis of metered export, rather than deemed export. The Export Tariff is well below the import cost payable for electricity drawn down from the grid. Some systems above 30kWp do not get any Export Tariff because in order to do so they would need half hourly metering in place, the cost of which may be prohibitive. Once again it makes a lot of sense to use as much of the electricity on site as possible. 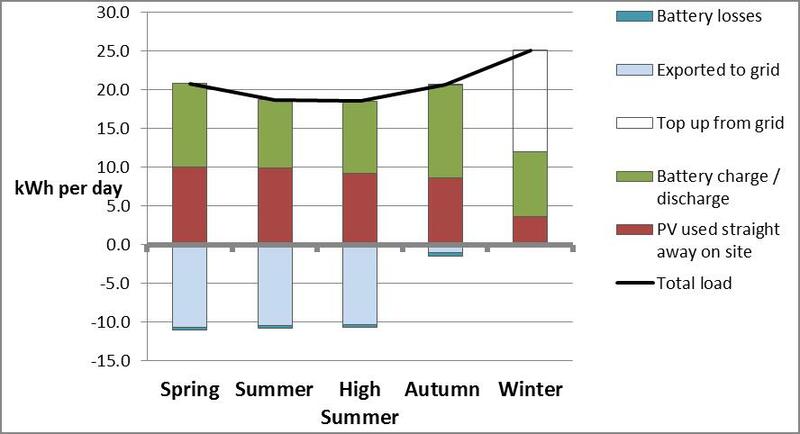 The likely economic gain from a residential solar storage system is analysed in detail in “The Economics of Storage”. Spare capacity within the National Grid has now fallen as low as 1.2%. 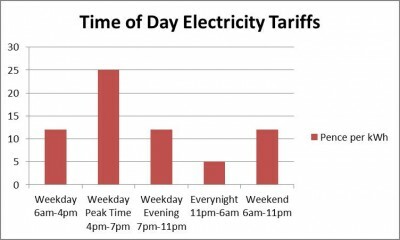 In November 2015 the National Grid actually had to pay major factories to down tools and cut demand between 4pm and 8pm. The risk of black-outs is increasing; as this risk increases, it makes sense for householders and businesses to start looking at installing back-up power supplies. It always makes sense to use electricity at the point of generation, thus minimising transmission losses. Furthermore in a world where electricity is an increasingly scarce resource, there is environmental and social value in storing energy on site for later use, particularly if such use is at times of peak demand across the grid.